Aspiring 22 year old rap artist, Shaun Scales dropped his debut solo effort “Yours Truly“ last year on October 4th, and the emcee’s first single “City of Men,” is in heavy rotation. The song is just one of many hits from the mixtape. With tracks like the hard hitting “Taken”, “What About Me” ,“I Got It” & “Swagged Out” , Shaun shows he has a flow that can go hard on any track. With subject matter touching on everything from street justice to fashion, to the overall love for music, there is no comparing Shaun’s flow and lyrical skill on “Yours Truly.” Whether harmonizing or creating the uber catchy hook, Shaun has carved his own niche and high level of expertise in his lane. At the moment Shaun is an independent artist with goals of becoming major. “Personally I feel like I have a wide range of music that many can relate to, I don’t think I do anything the same as anyone in the game right now, I will become a house hold name. There’s just no fighting it.” In the summer of 2009, Shaun was featured in a hip hop trio group called New Era and gained local radio spins on 107.5 WGCI with a song titled “Get off my Jock”. Today, Shaun is a solo artist and no longer a member of the group. Shaun Scales has crafted a thoughtful and relevant account of his experiences as one of the more talented rappers on the come up combined with the forces in hip-hop, culminating in a diverse and solid project. While the emcee is from Chicago and reps his city to the fullest, the goal is to be a household name, and a brand. Ladies & Gentlemen let me introduce you to “Yours Truly” Shaun Scales. Hip Hop Democrat: For those that don’t know who is Shaun Scales? 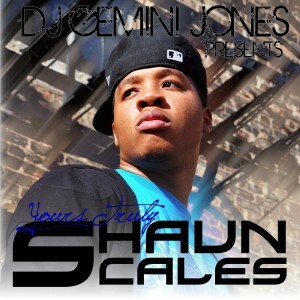 Shaun Scales: For those of you who dont know who i am. I am Demitreast DeShaun Scales. When I started rapping I used DeShaun Scales, but no one ever pronounced so I dropped the “De”. I’m from the North side of Chicago. I’m an only child, so being alone was normal. Video games, reading and writing was all I did as a kid. Writing kind of took over. My imagination was crazy (he says while laughing). It still is. Poetry and short stories is where I expressed my imagination and I never stopped. 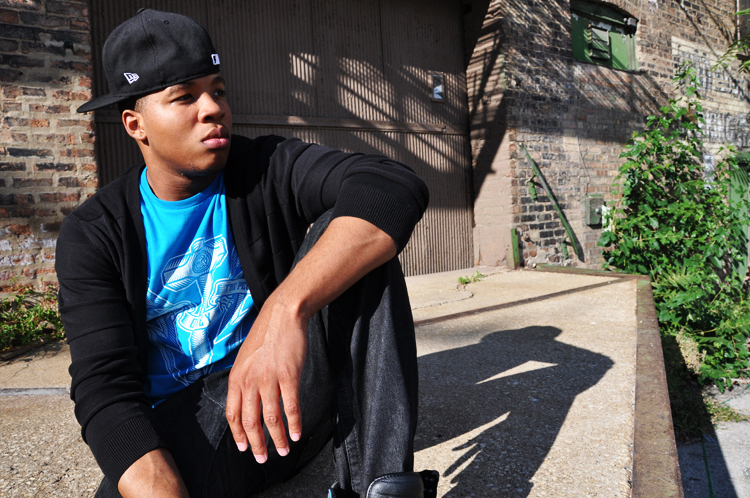 HHD: Chicago has street rappers, club rappers, & conscious rappers. What category do you fall under? SS: If its one thing i hate its categories, labels and stereotypes. All it does is separate people. There’s no type of style within my realm that I can’t do. All music doesn’t need to have a clear and distinct message and all music doesn’t have to be complete non sense either. I think Balance is the key to longevity. If longevity isn’t your goal then be one dimensional and see where your career ends but to answer your question I’m versatile. HHD: Thats a real good point. With that being said, everyone has one artist that influenced them to pursue a music career. Which artist influenced you to become an MC? SS: I can’t think of just one. 1st is Mr. West, he’s from my city. He took hip hop by storm and elevated it to a new place. Also shout out to good music for showing love at the Yours Truly release party. 2nd would be Wayne. His ability to completely change your mood in seconds is amazing and he has an almost endless grind. HHD: What is your label status? HHD: What was your initial goal for your current project “Yours Truly”? SS: The initial goal was to make noise and shift attention my way and thats what we did. It was sort of a test run. The next project will be on a much larger scale so everybody stay tuned. HHD: With so many bangers can we expect another video from Yours Truly? Or will “City Of Men” be the only visual. HHD: What do you have coming up next? SS: I’m actually dropping a partner mixtape with another artist on the team his name is Abuv Ave. That should be ground breaking and then of course my solo album will be dropping as well. HHD: Any final words you want to leave with the fans? Rumor: Stalley Signing To Maybach Music Group?